Sons are closer to their mothers as compared to their father, in most cases. What better place to watch mother-son relationships than in Bollywood. Bollywood movies showcase relationships in a very different way. This is one of those movies that you just can’t miss. The chemistry shared by Amitabh as son and Vidya as mother, is simply awesome. Amitabh Bachchan plays the role of a boy who suffers from a rare disorder in which the child looks much older than he/she actually is. Vidya Balan, a single mother raises her son, answering his questions about his father at every step and takes care of her son. She makes him understand the restrictions that need to be followed due to his illness. The bittersweet relationship is portrayed beautifully in the movie. The role of Amitabh Bachchan’s father is played by his own son in real life – Abhishek Bachchan. Jaya Bachchan and Shahrukh Khan play mother and son in K3G and the way the telepathy works in this movie is really worth a watch. The moment her son steps on the ground, the mother skips a beat and knows immediately that he has arrived. In spite of being a stepson, the mother loves him dearly and at times, it seems, she loves him more than her own biological son. 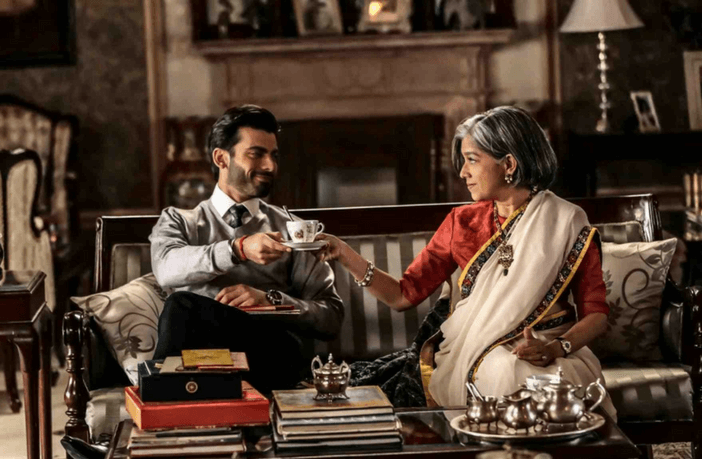 Ratna Pathak Shah plays the strict mom who wants her kids to be disciplined. Apparently, this movie is a remake of the 1980 film by the same name which starred her mother Dina Pathak in the same role. It is a delight to watch Ratna Pathak Shah plays the same role impeccably. Since she has to look after the family business, she doesn’t get to have a heart to heart conversation with her kids. As soon as she realises her mistake, she is all ears and even approves of a girl for his son, who is completely opposite of what she wants for her son. It was fun to watch this over dramatic typical Punjabi mom who gets to know that her son is gay. Abhishek Bachchan also did complete justice to the role while trying to persuade her. Kirron Kher is seen cursing the gods for making his son a gay and that she isn’t going get a daughter-in-law! The expressions and dialogues of Kirron Kher make you laugh till the end. The song, “Maa da ladlaa bigad gaya” is really a treat to watch! A not so old Shefali Shah plays the role of Akshay Kumar’s mother in the movie Waqt. Amitabh is Akshay’s father and he suffers from an incurable disease. She wants to tell everything to her son so that he can understand his responsibilities and take care of the family business but her husband doesn’t let her tell anything. She is a mother who is concerned about her son and his future. Although she punishes her son so that he realizes the value of money; she also wants to take care of him and tries to send him his favorite mangoes secretly. Reema Lagoo plays the role of a mother who is more of a friend to her son. She understands his needs, knows exactly how he feels and when the son is unable to express himself, she knows how to get the truth out of him. She is a cool new age mom. She knows what is going on in his heart and mind. Salman Khan plays the obedient son who has returned from abroad, likes to do things in his own way, yet he wants to keep his mother happy and doesn’t want to marry a girl against her wish. Tisca Chopra plays mom to two boys, one of whom suffers from dyslexia. It is really heartbreaking to watch her when she is forced to send her son to a hostel. She is helpless, unable to voice her opinion in front of her husband and yet she can feel the pain and suffering of her son. She wants to be with him, hug him and tell him that she’s there for him but can’t do that. Darsheel plays the role of boy who faces problems in reading and writing and is saddened to be kept away from his mother. Hope you enjoyed reading about these on-screen mother-son duos. If you can recall any other on-screen mother-son duo that entertained you, please share with us in the comments section.